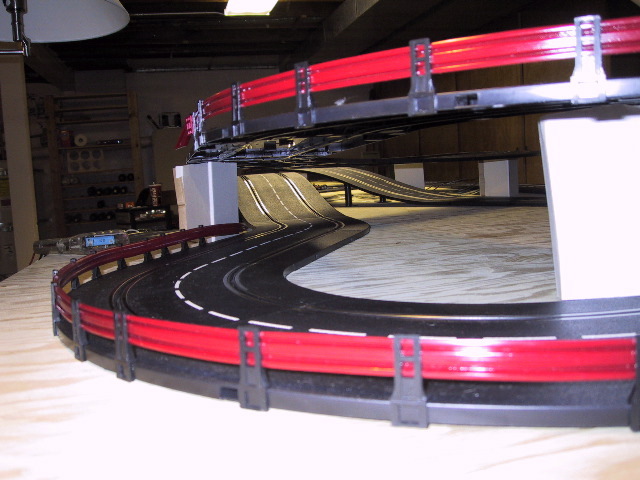 The track has a long straightaway leading into a banked turn. 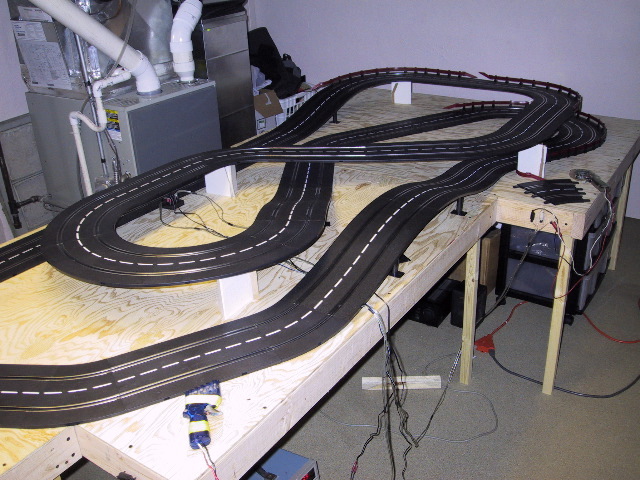 From there things slow down through a zig-zag, up over a hill, around a turn, then up into the elevated figure-8, which leads back into the straight. 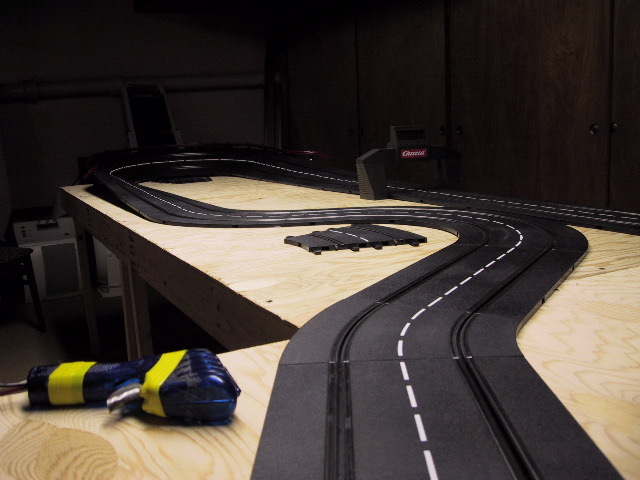 The lap timer is near the end of the straight. 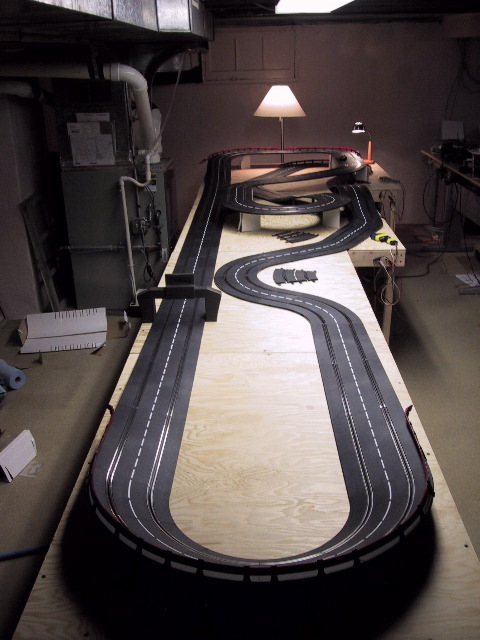 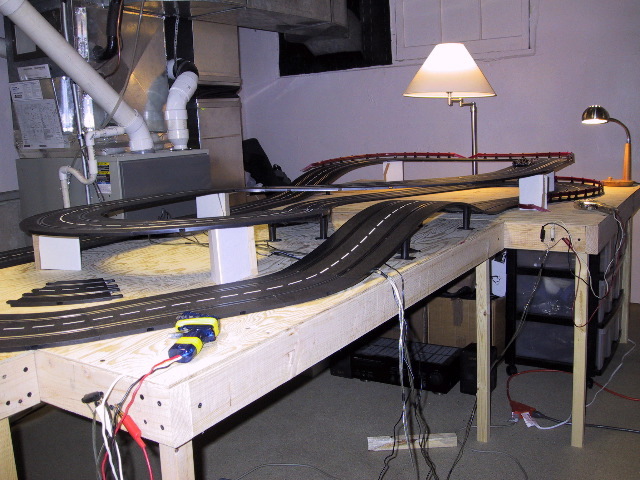 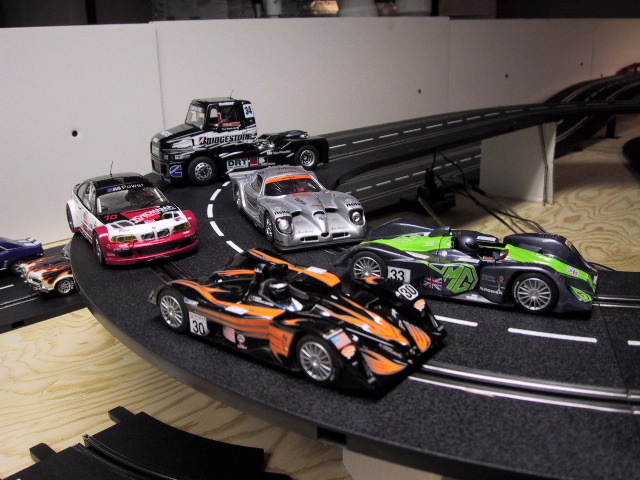 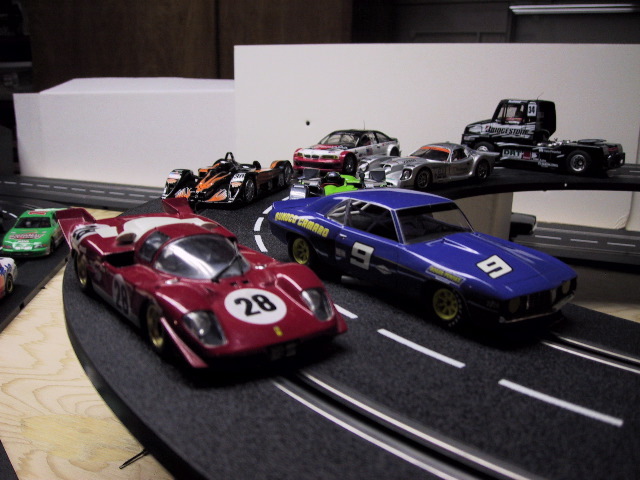 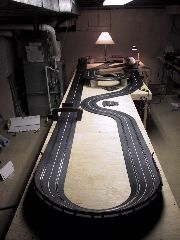 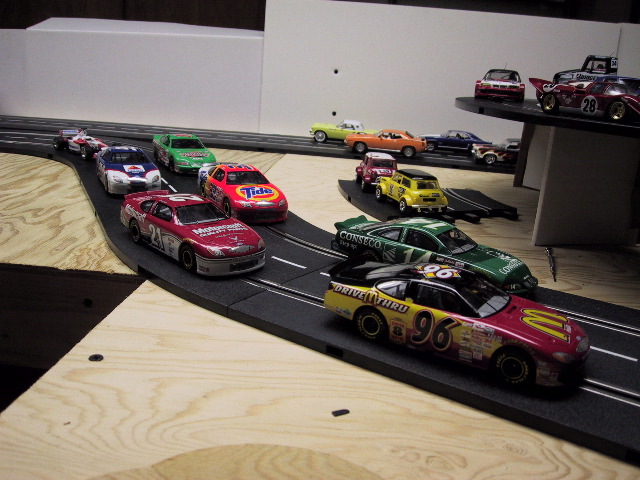 My fastest lap on this layout was 5.9 seconds in the bitchen Camaro (Scalectrix Sport, as opposed to the other Camaro which is a Carrera Evolution that came with the set).